While buying the high-speed slip ring, the customers should pay attention to the quality of the material. Some slip ring cannot work in every environment. The high-frequency slip ring can perform in both humid and harsh environment. In the market, the customers can check out the high-speed swivels that are made of different metals like the bronze, stainless steel or the silicon brass. Different grades of insulators are also available in the market such as the c-class, f-class, h-class and b-class. 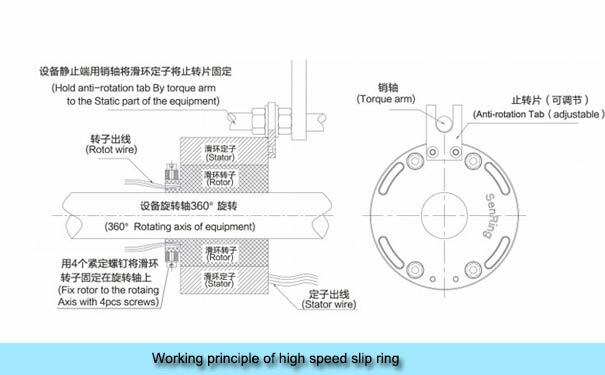 Slip ring installation procedure, installation space requirement, the volume of current, number of channels and the design will affect the functioning of the metal ring. The high-speed slip ring is used widely in the industrial field of metallurgy, automatic, aerospace and others. The stainless slip ring works better in the environment that consists of large pH. It has rust-resistant, corrosion resistant and acid/alkaline resistant properties. If the stainless steel does not has the corrosion resistance property, the brush of the slip ring will cause wear and tear or sparks may be visible. Compare to the stainless steel product, the bronze has much powerful performance capability. Only a suitable electrical rotary joint can perform in every working environment. 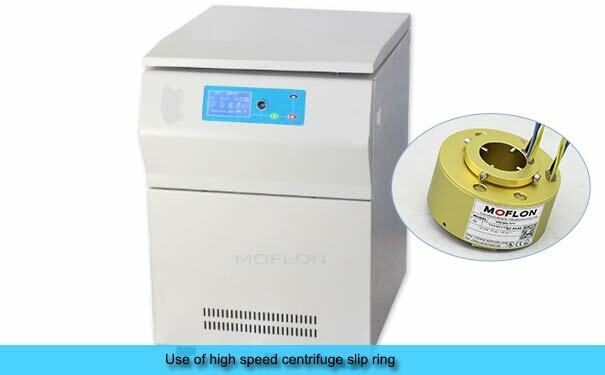 The moflon slip ring has constructed an explosion-proof slip ring product. This product can help to transmit the image or data signal and power from the rotary body to the stationary body. It is suitable for the continuous rotation of the electrical device. The explosion-proof slip rings have some plastic parts which can loosen in the process of use. It happens due to the ageing of the insulator of the slip ring and can cause insulation problem in the machine. In this type of slip ring, the brush conducts high temperature. It leads to some wear and tears on the surface of the metal product. The wears will disrupt the operating process of the machine while in some slip rings, friction may occur. This will hinder the performance of the machines. Therefore, it is necessary for the buyers to find out the genuine manufacturers and good quality slip rings. It will help to buy a superior quality slip ring that can function well in every situation. To save some money, customers do not want to purchase expensive product. However, buying a cheap price slip ring will not yield the desired result of the performance of the machine. It is better for them to buy an affordable wind turbine slip ring for their electrical appliances. Some buyers think that the metal of the slip ring used is precise and thus, the price of the product will be high. This is not the real case since the structure of the rotary joints is itself cheaper. The metal ring is only manufactured from the precise metal. So, it is not necessary that the price will be expensive. The precision slip ring metal provides good performance. It can conduct the high volume of voltage along with the data signal and power to the fixed parts. These slip rings are more reliable and cost-effective material.